While traditional video lets people watch, 360 Video lets people dive in, so they can see it all – from any perspective they choose. Our team has created award-winning video experiences for some of the best brands around. And we’ve been lucky enough to produce cutting-edge creative for a broad swath of industries, including entertainment, healthcare, retail, and more. 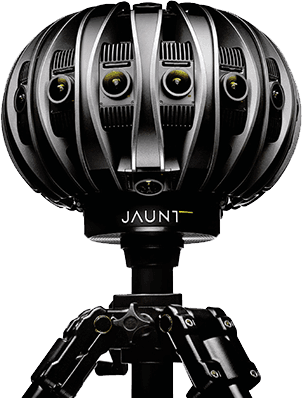 Interested in exploring 360 Video for your company? 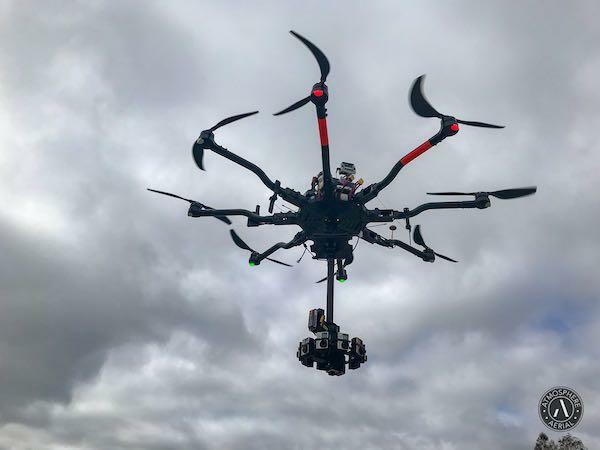 Our drone crew can fly any 360 camera your project needs. With extended flight times live video feed to the ground you will always know what the 360 camera is capturing. Our in-house 8K VR camera there is no view we cannot capture. At the start of every 360 project, we listen, learn, and get to know your brand to decide how to tell your story with the most impact way. From the overall creative vision to the specifics of the formation strategy, we think through every detail to ensure the project’s success. 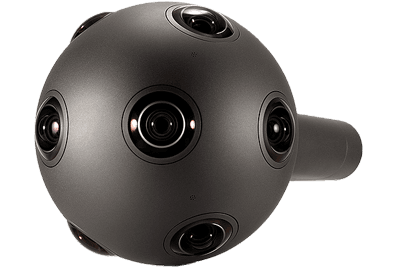 When it comes to 360 video production, the details are where it counts. So we scout locations, build storyboards, create scripts, bring in talent, and make sure everything is completed and ready to go to ensure the best shoot possible. On set, we use the most up to date systems and techniques to shoot 360 footage and record totally immersive spatial audio. If the best tools for the job does not exist, we build it to get the job done. Our bars high and our goal to beat expectations. So in post, we tweak every pixel, every stitch line, and every single – never calling a project done until it shines. No matter how you want to share your 360 video, we make it happen. From YouTube and Vimeo links for the broadest reach to complete immersive experiences built just for headsets like Oculus Rift, we can deploy your VR video any way you like. 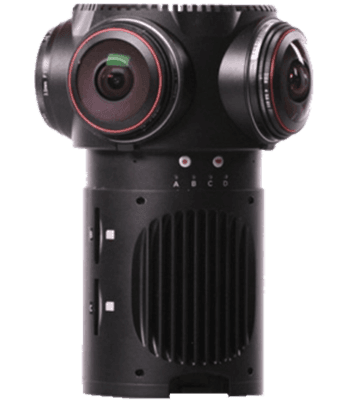 Our in-house 8K VR camera package includes the 360 camera and 3 axis stabilizer for smooth footage. With a flight time of around 15 minutes getting the shot is the easy part. 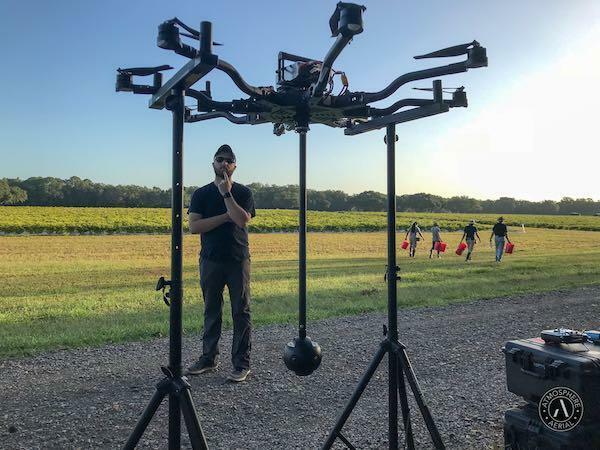 With our FreeFly Tero, we are able to offer dynamic VR camera work. The Tero lets us move the 360 camera while the operators are hidden from the sight of the camera. 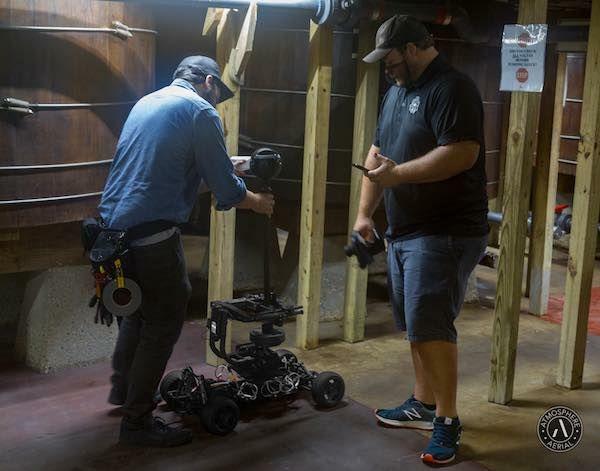 Moving in and out of rooms and across open areas, this little yet powerful car can make all the difference in VR shooting.